The hot chocolate served in France and other European countries is thick, luscious, and bears little to no resemblance to the watered-down version often served in America. 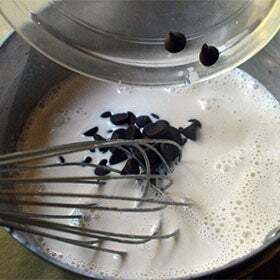 It almost goes without saying that the big difference lies in not using water to make the chocolatey beverage, but there is a little more to it than just that. Whether you like your hot chocolate bitter or sweet, we’ve got you covered. 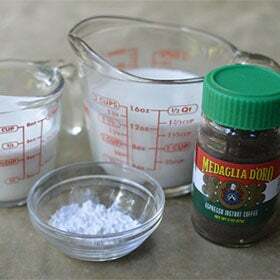 Follow the base recipe and then customize to your heart’s content! 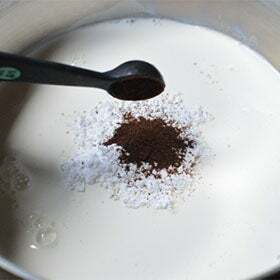 In a saucepan over medium heat, whisk together the milk, heavy cream, powdered sugar and espresso powder extract until the mixture is just starting to simmer. Turn the heat to low and stir in either 8oz of bittersweet chocolate OR 4oz semi-sweet chocolate, 4oz milk chocolate and 1tbsp vanilla extract until the chocolate has melted and the hot chocolate has started to thicken. The hot chocolate will continue to thicken as it cools. Serve warm with a dollop of whipped cream. Enjoy!